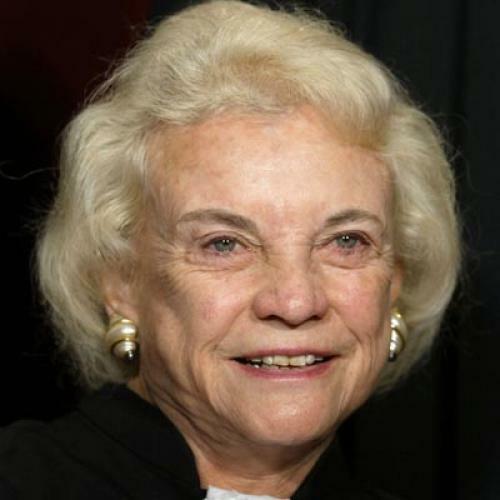 The Supreme Court term that ended this week would have looked very different if Justice Sandra Day O’Connor were still on the bench. Twenty percent of the cases were decided by a 5-4 vote, and, in many of those cases, Justice O’Connor would have voted to swing the result the other way. In two interviews this week at the Aspen Ideas Festival, O’Connor, a former Arizona state legislator, suggested to me that she disagreed with the 5-4 decision striking down Arizona’s public campaign financing system. She worried that it might call other public financing schemes into question. “I think that’s very much a concern,” O’Connor said. It’s not only America’s campaign financing system that would look very different if Justice O’Connor hadn’t retired in 2006 and been replaced by Justice Samuel Alito. Here is a sampling of the range of other cases that might have come out differently if O’Connor were still on the Court: the federal partial-birth abortion law likely would have been upheld rather than struck down; affirmative action in public schools likely would have been permitted rather than restricted; and gender discrimination suits and suits by taxpayers challenging state-funded religious expression likely would likely have been allowed to go forward rather than being cut off. O’Connor told Newsweek in 2007 that she would have stayed on the Court much longer, except that her husband was ill with Alzheimer’s disease and she needed to care for him. (Her husband quickly deteriorated after she resigned, and he died in 2009). And, as I interviewed O’Connor, who remains as sharp, fit, and formidable as ever at the age of 81, I was struck by how unfortunate it was for the Court and the country that she resigned when she did. Although I wrote critically about O’Connor’s pragmatic, split-the-difference jurisprudence while she was on the Court, her approach looks far better than that of her more conservative and increasingly influential replacement, Justice Alito, a pro-executive power justice who is often less sympathetic than O’Connor was to individual rights and liberties. The difference between O’Connor and Alito was obvious during our interviews in big ways and small. O’Connor strongly suggested that, unlike Alito, she would have voted to uphold California’s law restricting violent video games. “As a former member of the Court, I’m not going to say, ‘Oh my God they made a mistake,’ but you don’t read the First Amendment and think that’s what is required,” she told me. As a former state legislator, O’Connor also understands that public confidence in judges and legislators can be undermined just as much by the appearance of possible corruption—or the impression that money is buying access or votes—than by quid pro quo examples of vote-buying. This is why she is far more realistic than Alito about how the Court’s judicial activism in campaign finance cases may harm American politics. Both O’Connor and Justice Stephen Breyer strongly resisted the suggestion by Larry Kramer, the dean of Stanford Law School, that the Court, self-consciously or not, follows popular opinion in particular cases. “We’re aware of broad [public] views, but to say that we read the polls is unrealistic, so the answer is no,” O’Connor said decisively. Kramer politely suggested that both justices were victims of false consciousness, noting that the empirical data about how closely the Court follows the public over time is too overwhelming to ignore. But, although O’Connor and Breyer were shocked, shocked, by the suggestion that they intentionally tried to mirror the views of the public, it’s true that the Court would be a far more centrist institution today if O’Connor were still on it. Of course, it’s not just O’Connor’s early resignation that made the Court turn right: Without Bush v. Gore, in which O’Connor cast the tie-breaking vote, Alito would never have been appointed to replace her. (O’Connor was prickly and defensive about Bush v. Gore in Aspen: “It wasn’t the end of the world,” she said impatiently. “They had recounts of the votes in four counties by the press, and it did not change the outcome at all. So forget it. It’s over!”) But the fact remains that America would be a different place today if she were still on the Supreme Court. For her impressive but now embattled legacy, I miss her.